Use our free mortgage calculator to estimate your monthly mortgage payment, including your principal and interest, taxes, insurance, and PMI in Michigan. See how your monthly payment changes by making updates to your home price, down payment, interest rate, and loan term. Michigan, the Great Lakes State, remains affordable as the median homeowner spent just over 18% of their income on their home -- well below the national average. Michigan experienced rapid growth in housing prices, with the average home value jumping 9.3% in 2018 alone, although signs point towards a slowdown in 2019. When buying a home in Michigan, get ready to move quickly as the average home was on the market for less than a month on average in 2017, in part due to the proliferation of house flipping in the state. Current rates in Michigan are 4.422% for a 30-year fixed, 3.842% for a 15-year fixed, and 4.214% for a 5/1 adjustable-rate mortgage (ARM). The Michigan State Housing Development Authority offers several loan programs to help qualified first-time home buyers get a mortgage. 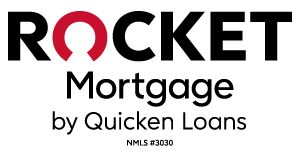 NerdWallet has done the work for you to pick the best financing partner for you in Michigan. Taking U.S. Census data, NerdWallet has crunched the numbers to help you understand what property tax rate you can expect to pay on your future home in Michigan. Because assessed values aren’t frequently updated, you may pay a higher rate at first but eventually you’ll pay a similar rate.